Being able to slide an event into your calendar and schedule your world around it just makes life easy, and seasonal tire changeovers are no different. That’s why we’re reminding customers that we do tire appointments! All of Kal Tire’s more than 250 locations across Canada now offer the chance to book appointments, so if you still need to swap your winter tires out for your summer, 3-season or all-weather tires, now you can book that changeover appointment! “Scheduling an appointment to get your winter tires taken off helps ensure you can get in and out, and avoid waits,” says Baker, adding Kal Tire stores are still happy to continue taking walk-ins. 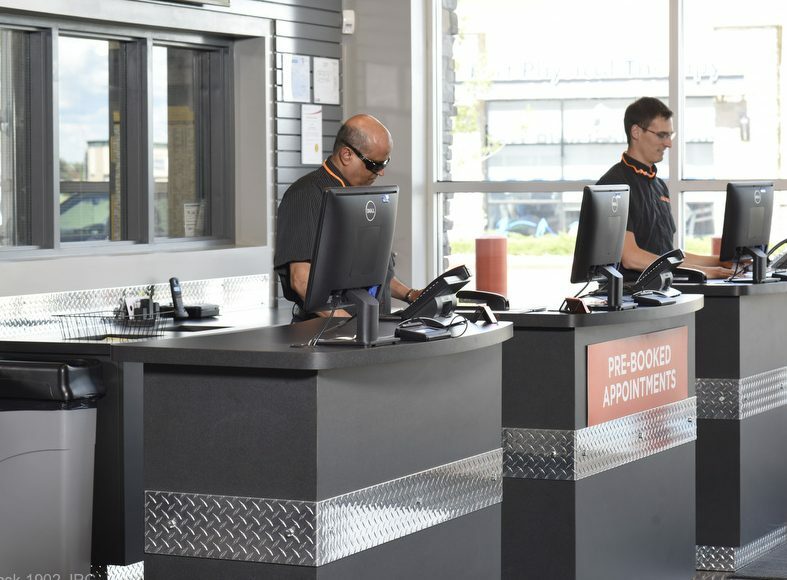 All you have to do is call or drop by one of your preferred Kal Tire locations and we’ll find a time that’s convenient for you. Changeover – two sets of tires are changed over on one set of rims. If you want to put your feet up and wait in one of our clean and comfortable lounges during your appointment, be sure to check out the spring edition of the Kal Tire Times for fantastic articles and tips about pothole vehicle safety risks, summer road trips, tire pressure monitoring systems and more! Kal Tire looks forward to seeing you, whether you schedule your appointment in advance or drop in! Call ahead or stop in at one of our Kal Tire locations near you.